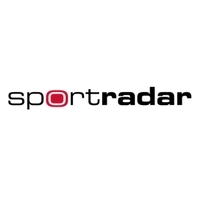 The multi-year deal will supplement the existing relationship between the EHF and Sportradar, which already sees the company provide a range of data, streaming, marketing and digital services across European Cup club competitions. In this new development, Sportradar’s fraud detection services will be employed to safeguard a range of EHF competitions, including the VELUX EHF Champions League, Women’s EHF Champions League and EHF EURO events, from potential threats through the use of its world-leading monitoring tools. The EHF will also be able to call on Sportradar’s intelligence and investigation services, which utilise a team of dedicated intelligence experts to help investigate any organisations or individuals who may be targeting European competitions. Sportradar’s monitoring tools have been implemented since the start of the year. The Men’s EHF EURO 2018 in Croatia in January 2018 being the first major international EHF event to be monitored. The company also provided further information on its services during the EHF EURO, with a seminar for delegates and referees held during the event’s final weekend. Sportradar is a global leader in understanding and leveraging the power of sports data and digital content for its clients around the world. The company provides cutting-edge solutions and services to media companies, bookmakers, sports federations and state authorities. Sportradar is a truly international organisation, employing over 1,800 people in more than 30 locations around the world. This rapid growth is driven by technological innovation and a deep understanding of its clients’ business needs. Sportradar is committed to excellent service, quality and reliability that makes it the trusted partner of more than 1,000 companies in over 80 countries. The company occupies a unique position at the intersection of the sports, media and betting industries. More information can be found on www.sportradar.com.